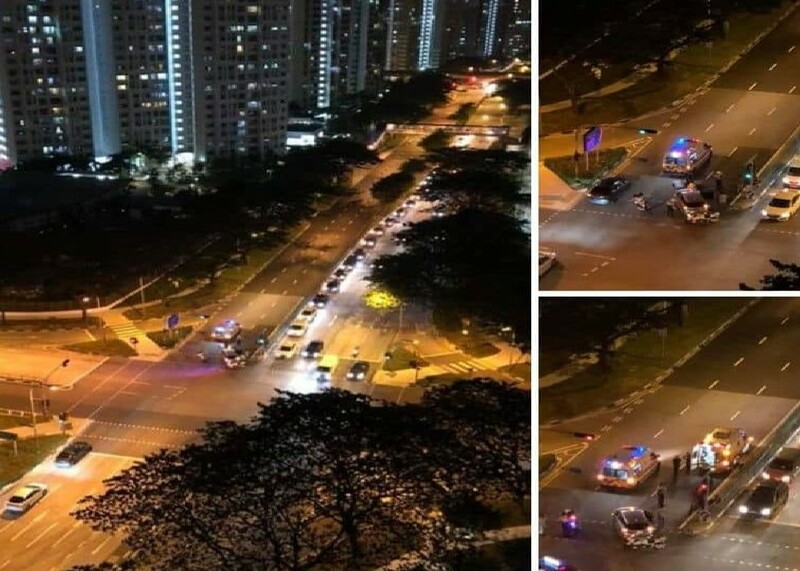 We are appealing for eye witnesses or camera footage to a road traffic accident involving a Honda vehicle number SLG 1436R and 3 Pedestrians (2adult and 1 child) on 13th July 2018 at around 9.30-10pm at the cross junction between Sengkang West Way and Fernvale Link. We sincerely plead the public to help share this post and those who are at this area during the time and date of accident to check your camera if you have captured any footage of the accident. Please contact us at 86487980 Benson / 81881612 Janice for any information of the case. P.s: Many thanks to all the kind volunteers who rendered help at the scene, well appreciated.